Yesterday we had the chance to show some cases using adaptive approaches to activate underused industrial sites. 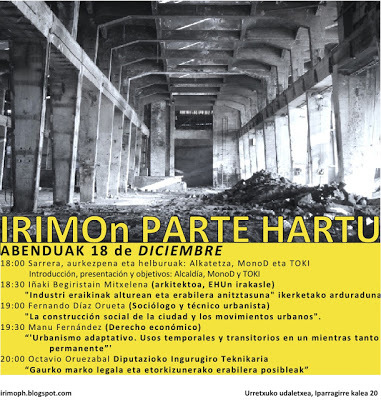 The talk had its context in a participatory process in a town in Gipuzkoa (Spain) which is considering transitional uses for a large industrial site that went abandoned 15 years ago and have been stalled since then. The adaptive approach we are using to rethink these urban assets to make them meaningful for communities and loca economies seems to make sense, particularly in this kind of urban conditions in which expectations for large investments from the outside do not become real and, in the meantime, there is a chance to make the best of these places.